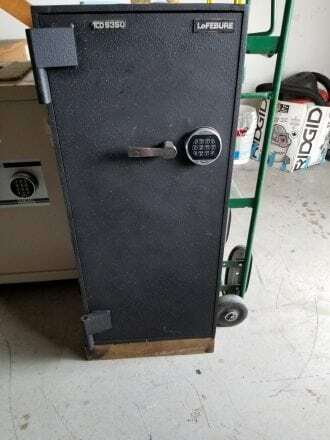 This is a steel body burglary safe. It has a sliding interior for ease of access to your valubles. 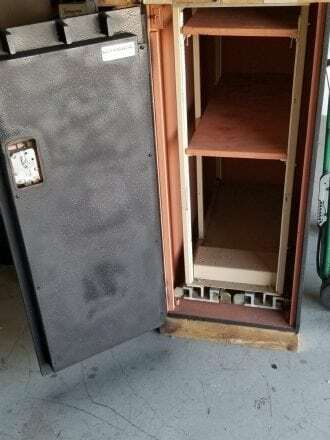 A Large area of space is required for this safe, but it would be great for storing large amounts of ammunition or stacks of cash. Ext. Dimensions: 42.75" x 18.5" x 38"
Int. 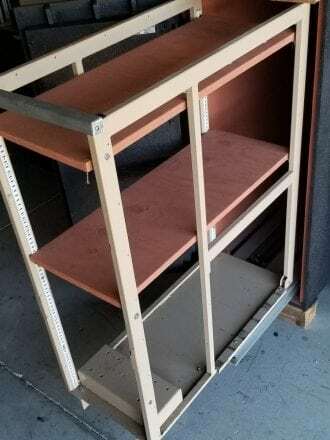 Dimensions: 41.75" x 17.75" x 32.5"